Students and alumni of the University of Arkansas have an impact on their communities as well as their academic and professional fields. This page highlights recent achievements by notable Razorbacks, organized by their college of study. Want to see yourself here in a few years? Your journey beings with the application for admission. A by a student's name indicates they are also a member of the Honors College. 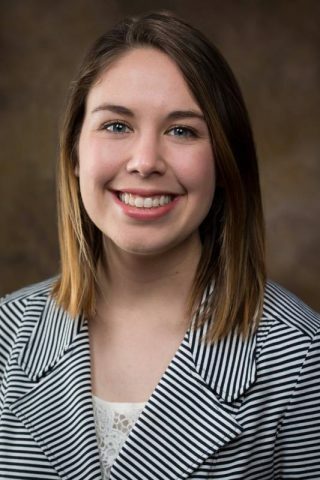 Lauren Ince, a junior from Nashville Arkansas, was named undergraduate outstanding dietetic student by the Arkansas Academy of Nutrition and Dietetics in April 2017. Victoria Maloch, a 2017 graduate from Magnolia, Arkansas, served as a White House Intern in the Executive Office of the President, as well as an intern with the U.S House of Representatives. Shilpa Samant, a food science doctoral student, was named 2017 outstanding intern by the W.K. Kellogg Co.
India Callahan, a senior apparel merchandising and product development major was named the 2017 scholarship winner by the Women in Toys foundation. Molly Evans from Conway, Arkansas was an undergraduate research assistant for Frank Jacobus; her work is published in two of his books. Interior Designs students from the Fay Jones School of Architecture and Design collaborated with Mullins Library to create a new print station and research consultation area in the library. Design work created by students Hannah Moll , Erin Cox, and Jordan Pitts was recognized by the American Society of Landscape Architects. Architectural drawings of Deepwood Historical House in Fayetteville won a prestigious national prize for the second time in recent years. Wanbli Gamache, a 2012 Graduate with a degree in Anthropology, has been featured in art galleries in Athens, London, Columbia, Spain as well as many top U.S cities. Jace Motley of Conway, Arkansas graduated in 2017 with a triple major in Political Science, International Relations, and pre-law, and joined U.S Senator John Boozman's office as a staff assistant. Mahsa Lotfi-Marchoubeh, a doctoral student in Chemistry, is developing a probe to take chemical measurements in the brain. Her research could improve understanding of neurocognitive diseases. Amber Straughn was always fascinated by the stars, which led her to study Physics at University of Arkansas. A team project here ultimately set her on the path toward NASA, where she now works. Jessica Loechler graduated May 2018 with a Business Economics and Marketing degree; starting in July, she's at Google as a business account executive. Brittany Stettmeier, a senior in Marketing with a dual minor in Supply Chain Management and Animal Science, represents the U of A in Women's Ultimate Frisbee and Livestock Judging. Canon Reeves, a sophomore from Searcy, Arkansas, is a student manager at the McMillon Innovation Studio, and part of the team that won the Studio's inaugural entrepreneurial design contest. 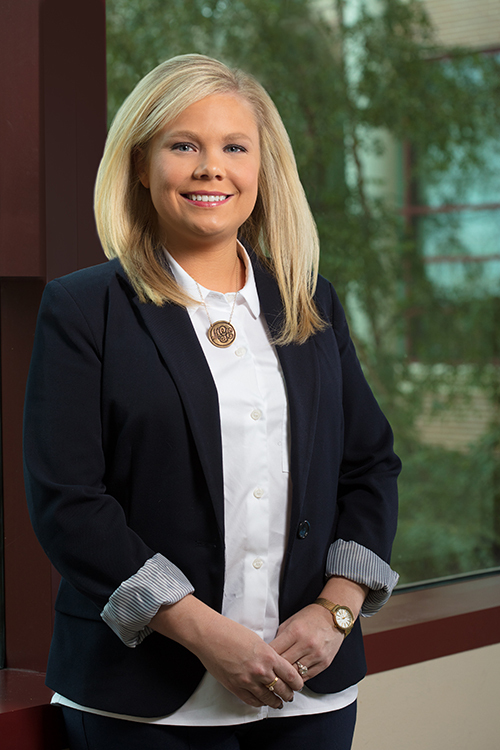 Jessica Darby, a doctoral candidate in the Walton College of Business, won the prestigious and highly competitive Adam Smith Fellowship to study agriculture supply chains. For more on outstanding Walton College students, alumni and faculty, see Spotlight articles on Walton Today. 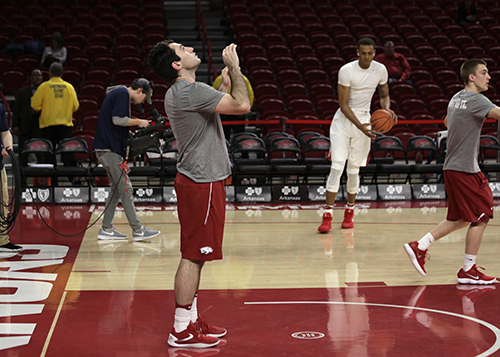 Blake Rudolph graduated this May, and balanced pursuing a MA in Teaching with managing the Razorback basketball team. He plans to teach math, a field experiencing a significant decrease in new teachers. Meredith Green graduated with a bachelor's degree in nursing and began working as a floor nurse at Washington Regional Medical Center. Now, Green is senior vice president and chief nursing officer. 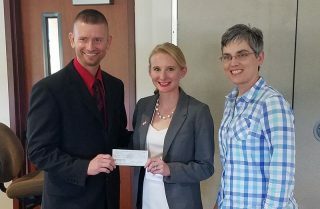 University of Arkansas students won the doctoral student research grant competition and student research awards at the 2017 Central States American College of Sports Medicine Regional Chapter. Chelsea Coker of Tuttle, Oklahoma, a junior majoring in childhood education, was named 2016 Presidential Scholar for the College of Education and Health Professions. Lily Hallet, a chemical engineering undergraduate, is one of 12 students nationally chosen by the MIT Materials Research Laboratory to pursue summer research at the top-ranked facility. Lionel Davis II of Little Rock, Arkansas is a recent graduate in the College of Engineering. He was named the president of the National Society of Black Engineers. Ashleigh Hegwood, a 2017 graduate, was a Walt Disney World Industrial Engineering Intern and also served as an engineering intern with John Deere Performance and Reliability. Danielle Neighbour, a University of Arkansas Honors College Fellow and senior civil engineering major in the College of Engineering, was named a Schwarzman Scholar for 2016. The University of Arkansas Honors College supports students in every college across campus, bringing together more than 3,000 high-achieving undergraduate students across all fields of study, and 700 of the university’s top professors, in a learning environment characterized by discovery, creativity, and service. For more about the Honors College's distinguished students and alumni, check out Honors TV. As a prospective student visiting the University of Arkansas in the spring of 2012, Ryan DuChanois wasn't thinking that his campus tour would lead him to Ethiopia, and, eventually, to graduate studies at the University of Cambridge on a prestigious Gates Cambridge Scholarship. He was thinking how comfortable the campus felt. After all, he'd been visiting the University of Arkansas since eighth grade, when he began taking classes on environmental and spatial technologies in the JB Hunt building. "By then," Ryan says, referring to his tour, "the U of A just felt like home. I remember telling my parents that. The global perspective? That would come later."